The TrueStrike MKVI single is aimed primarily at golf professionals and driving ranges but if you have the space it s also great at home too. If you have any questions regarding the TrueStrike Single Golf Mat, please give us a call, we would be happy to help you with any questions you may have. 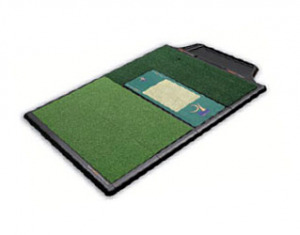 Write an online review on the TrueStrike Single Golf Mat, and share your thoughts with others.